It pains our team here at Trident Surveying to read about situations in the news in which there seems to have been a dire lack of asbestos awareness training. That was the case again the other day, concerning a very high-profile site beloved of people across the United Kingdom and the world. 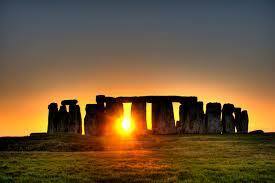 That site was the iconic Stonehenge, where a visitor centre has recently been built. It was during work on this £27 million project that asbestos was accidentally brought to the prehistoric monument in Wiltshire, according to reports in the Daily Mail and other newspapers. Part of a road next to the ancient monument was grassed over by contaminated topsoil, forcing contractors clad in protective clothing to work through the night to eradicate the lethal substance. A source stated that workers were bringing in topsoil to cover over a section of the former A344 when they encountered “significant lumps” of asbestos – “about the size of bricks.” This source added that “There was a massive disagreement between English Heritage and the engineering firms involved in the contract because it caused a lot of hold ups.” A further £100,000 was reportedly spent to remove the asbestos with special equipment. The source also claimed that the corrective work was undertaken at night out of a desire to avoid publicity. This was denied by an English Heritage spokesman, who insisted that “There was no cover up in any sense – we had no option but to carry out the work outside visitor opening times. The road runs directly past the circle, about 40 yards away, so there was no way we could have done it in the daytime.” He added that only a “small amount” of asbestos was discovered, with no risk posed to the public. Whatever the truth of the matter, many observers will doubtless be shocked by the revelation of asbestos being deposited – however accidentally – in such close proximity to this adored and important landmark. The news was declared “an absolute scandal” by environmental campaigner Jason Addy, and when stories like these emerge, there’s certainly no doubt about the continuing relevance of asbestos awareness training for all manner of UK organisations and businesses.